﻿63 pages, 5 videos and many, many illustrations. chronicling personal and creative journeys through watercolors and words. Click on images immediate below to enlarge cover and sample pages. Purchase individually by clicking on covers below. The Grand Tour begins in September, 1996, at the start of my first European tour as a performing songwriter. ​I made these paintings during two long tours back and forth across the continent, between trains, on days off and on a break along the Côte d'Azur. A running narrative describes the setting and circumstance of each painting as I struggled to keep it all together, alone, with my guitar strapped to my back and a suitcase full of CDs. 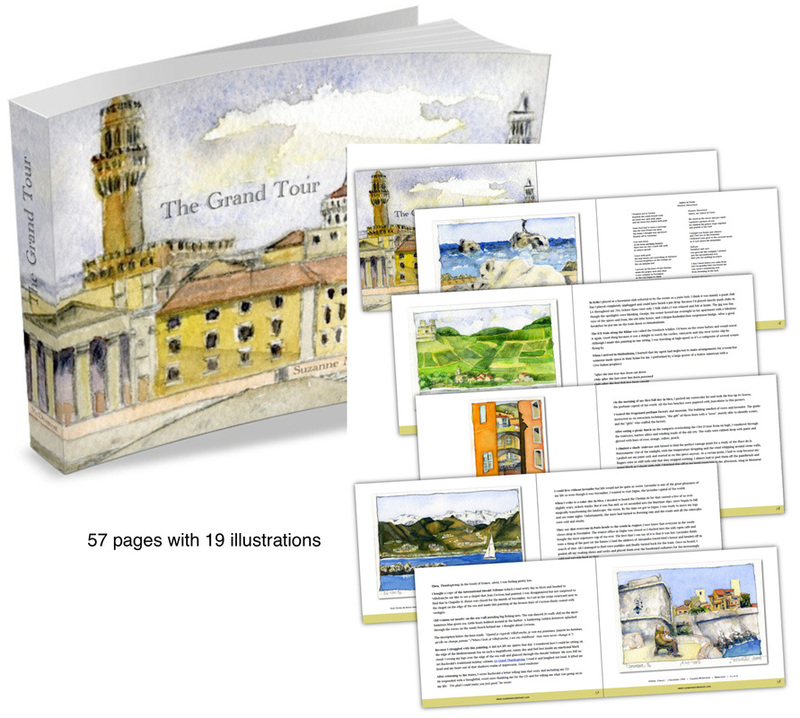 57 pages with 19 illustrations. The paintings in Charleston Watercolors were made between the spring of 1997 and mid-summer 1999, as I began my slow transition from full-time touring as a performing songwriter to teaching drawing and watercolor. 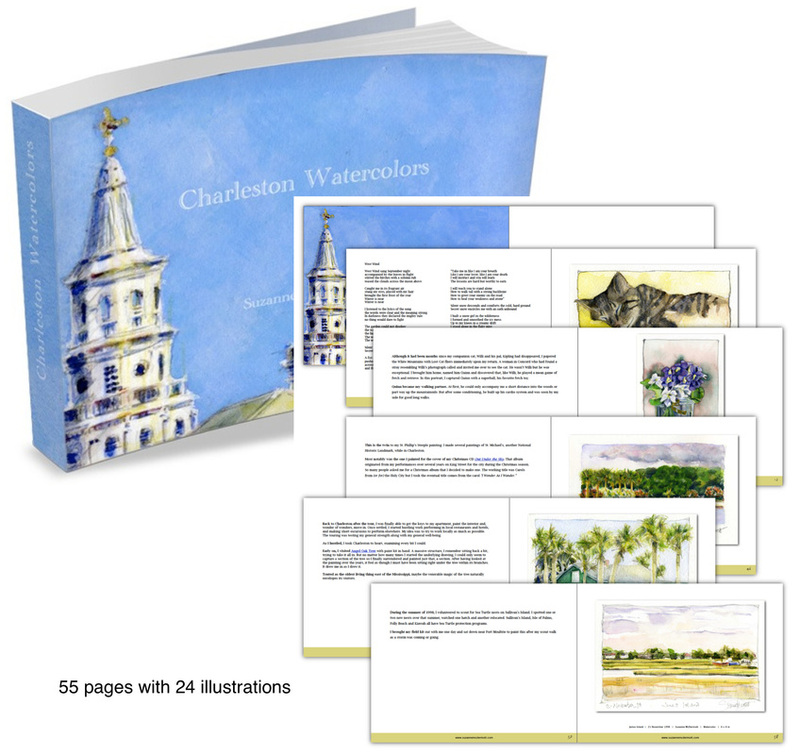 These watercolors and memoirs chronicle my explorations of Charleston and the Low Country and discoveries of their remarkable delights. 55 pages with 24 illustrations. 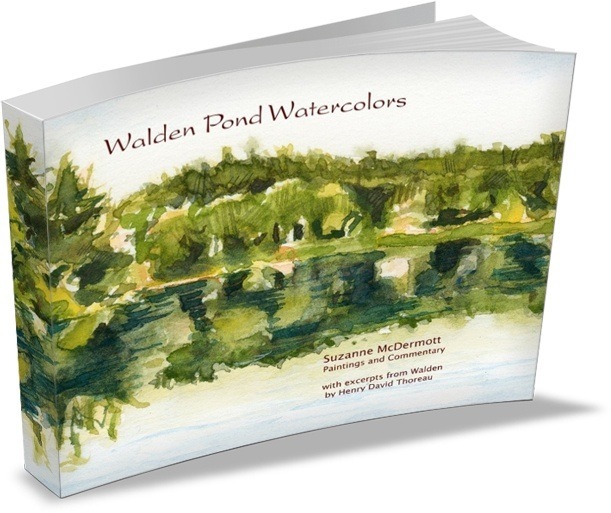 In the fall of 1999, I worked my way around the pond on half a dozen visits, before and after swims, with my trusty knapsack kit of watercolors and pencils. 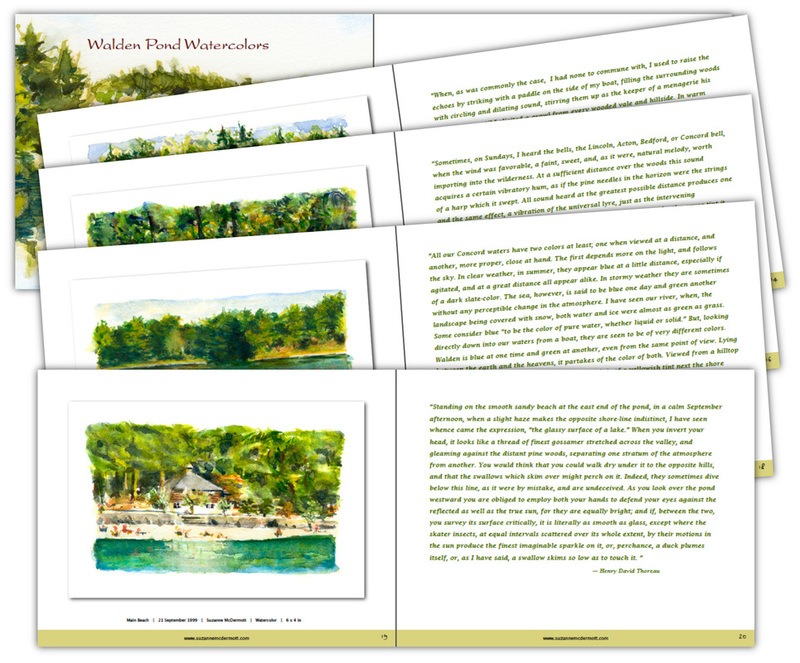 Along with notes about my trailblazing, each painting is accompanied with an excerpt from Walden by Henry David Thoreau that describes the scene I painted far better than ever I could. 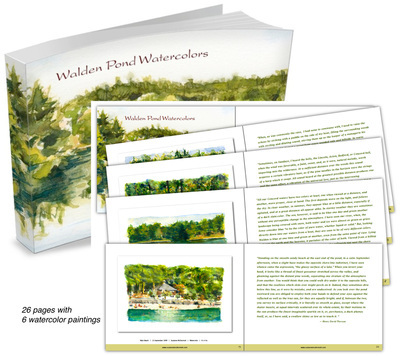 26 pages with 6 illustrations. 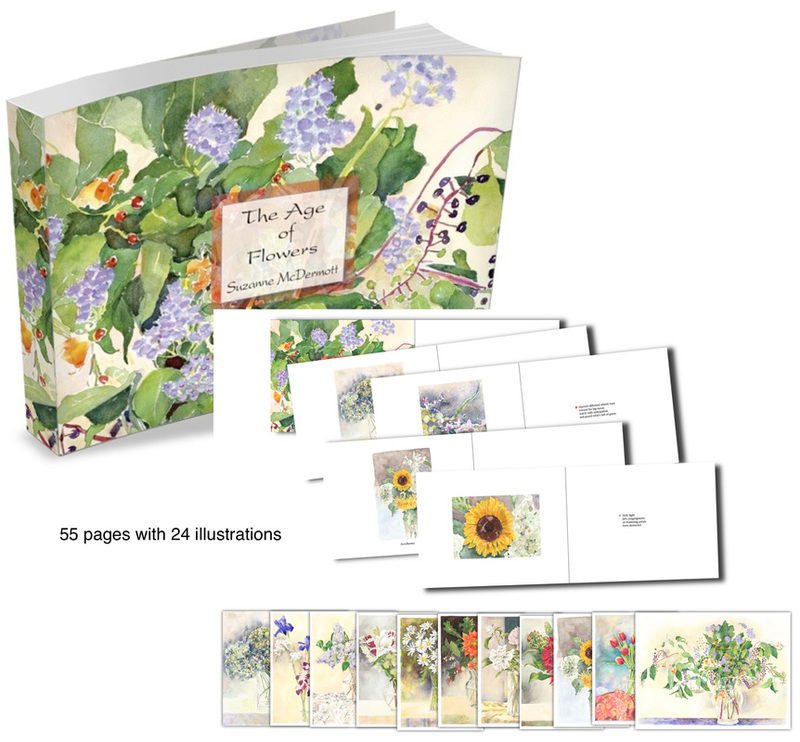 The Age of Flowers is a set of meditations on 12 bouquets of flowers with the complete watercolor paintings (and details of each) accompanied by poetic text on spiritual awakening through the observation of flowers. I made this set of full sheet watercolor paintings while living in Charlottesville, Virginia during 2004-2005.